It’s casual, elegant, and timeless! 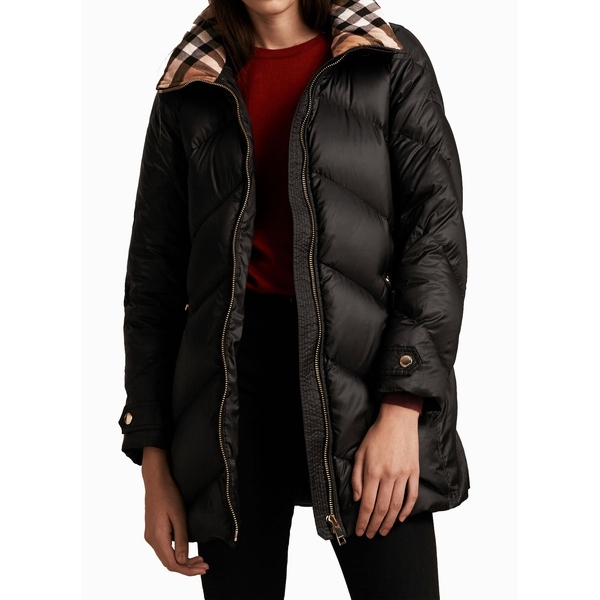 This Burberry Brit Eastwick Chevron-Quilted Down-Filled Coat is filled with down which protects you from chilly weather without compromising your perfect style prerequisites. 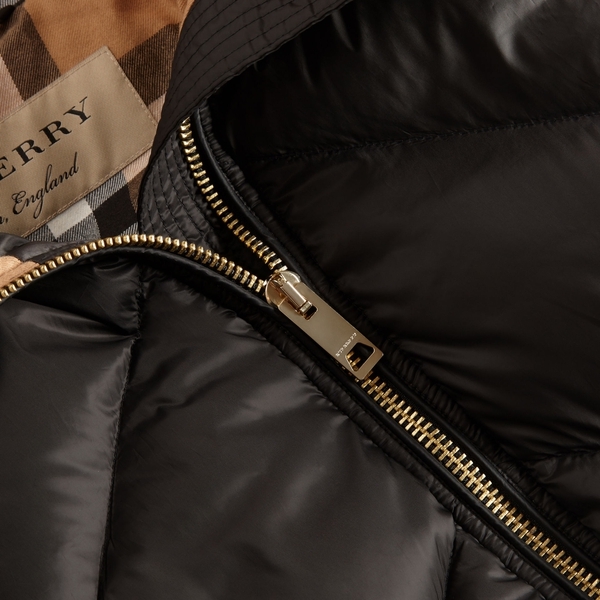 The chevron quilt creates a structured silhouette making this puffer looking sleek. 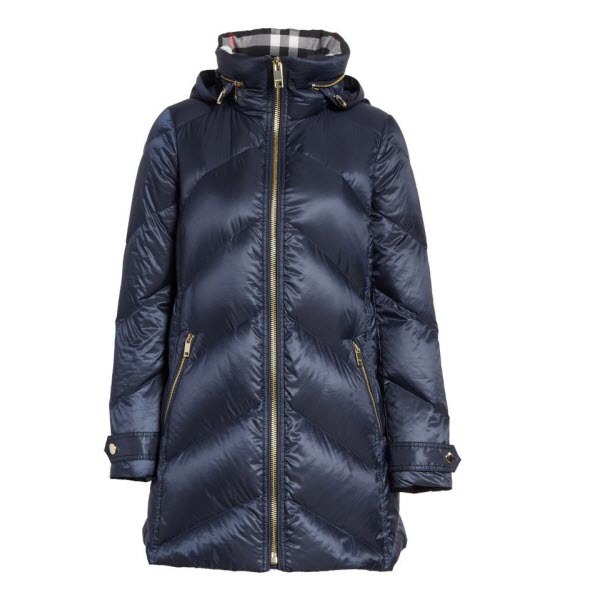 Equipped with a detachable hood and a wind-breaking funnel neck lined with signature check, it poses as a luxe basic. • Available in size XS, S, M, L.
• Size XS: shoulder 15″, bust 37″, length 30″. 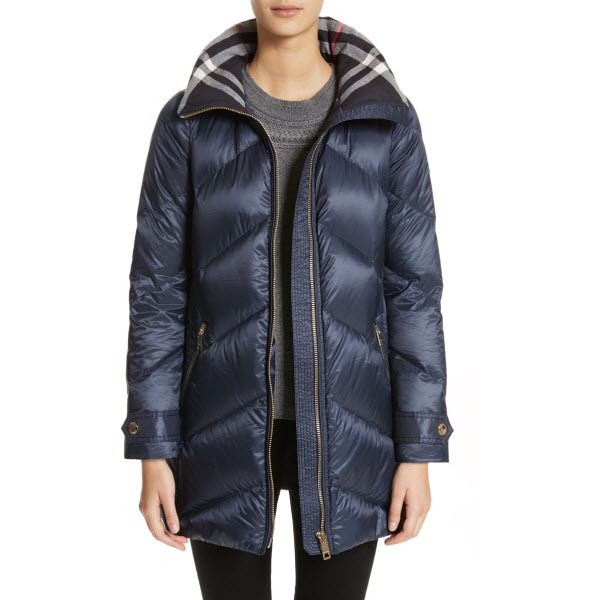 You can wear it with skinny dark jeans and a roomy sweater, accessorized with sneakers, and a backpack. 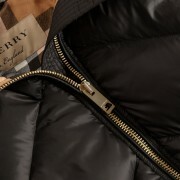 Style it with check or corduroy pants, a chambray shirt, a satchel and block-heel booties for a heritage British look. Combine it with denim culottes and loafers, for a casual Friday. 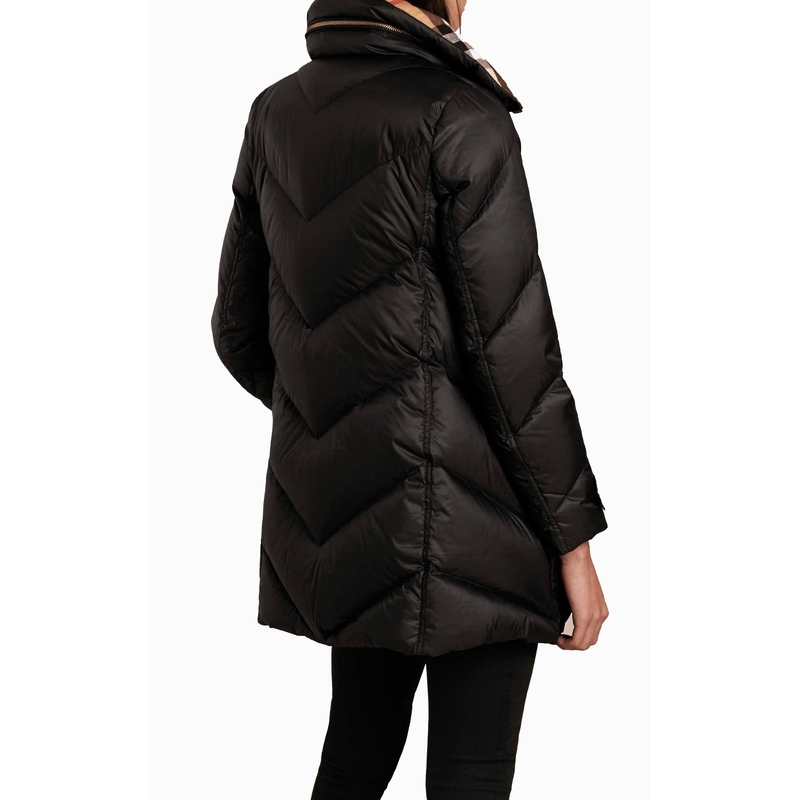 Throw it over a lurex top and leather leggings for an athleisure mix & match. 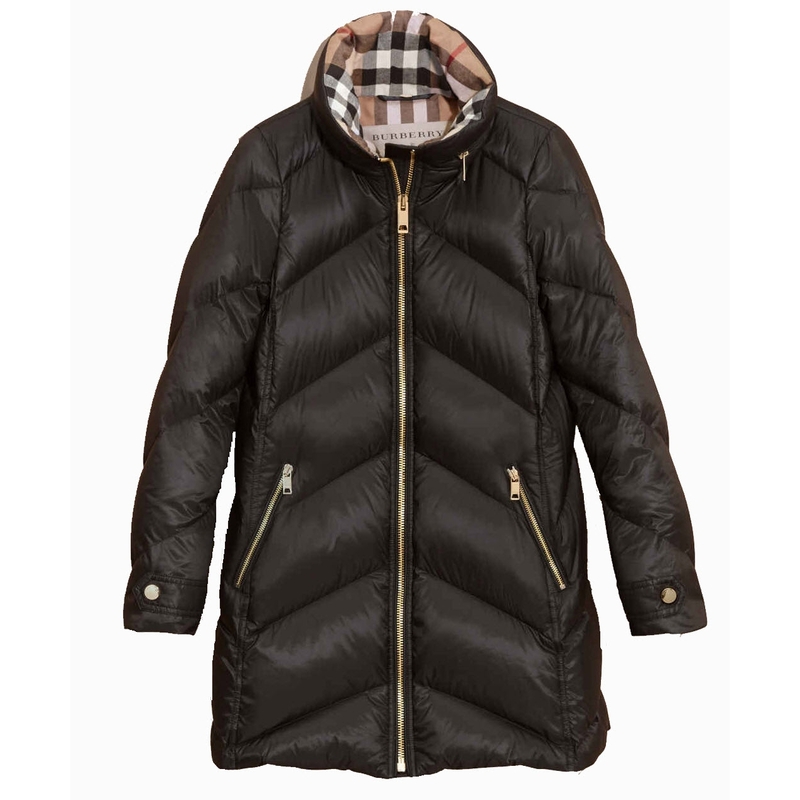 Play it also against a chevron print!